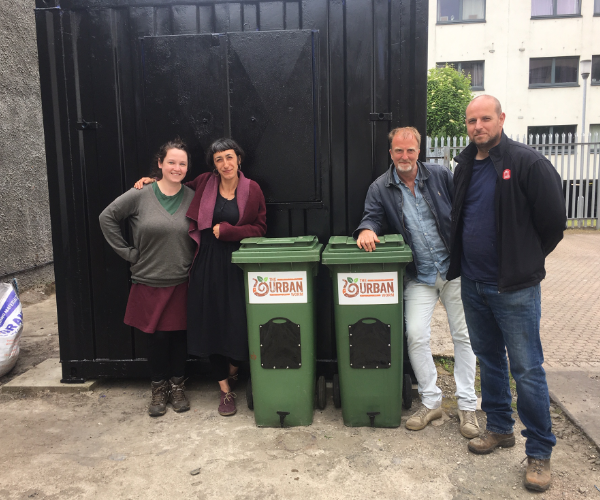 The Urban Worm CIC is a social enterprise committed to raising the profile of worm farming as the ecological and economical solution for organic waste management and organic agriculture. 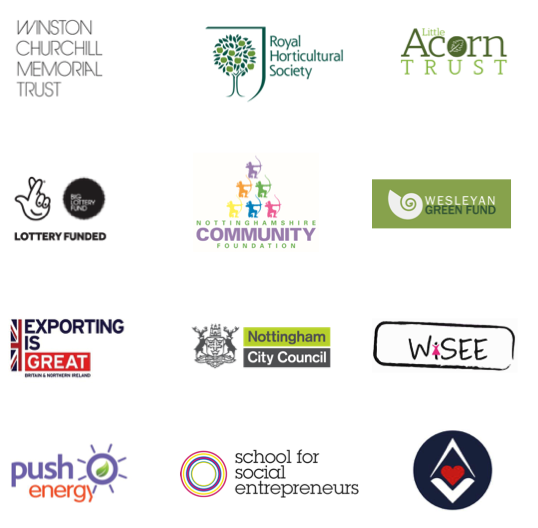 We support schools, communities, businesses, farmers and families harnessing the power of the humble earthworm to build the foundations for food production to flourish, and for societies to thrive in the face of adversity. The reality of climate change, natural resource depletion and mass urbanization present unprecedented threats to global food security and the survival of humanity. Worm farming provides solutions to help us meet and address these challenges, as individuals, communities, institutions and businesses. The process particularly lends itself to the urban environment with small scale indoor, low tech and low cost systems. 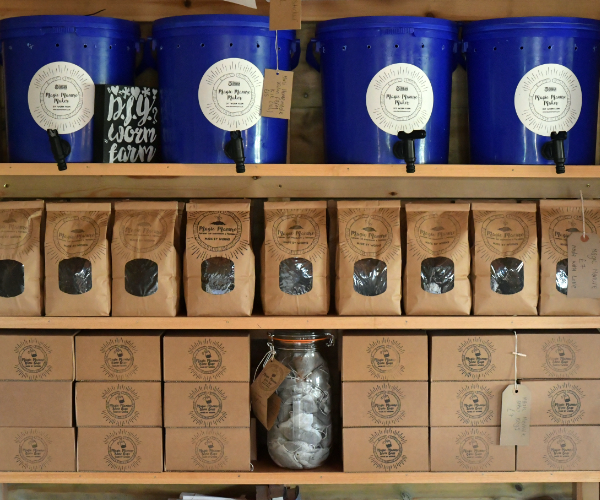 With 83 % of the UK living in cities an urban worm farming movement is essential for future food security and provides easy solutions for our kitchen waste. With a mission to change the culture of waste we have developed kits to help you transform your wheelie bin into a Magic Manure making machine! Our kits are suitable for converting 80, 120 and 240 litre wheelie bins. Maintaining our environmental credentials we have partnered with CC Signs to repurpose old For Sale plastic corrugated signs for use as insert drainage trays, keeping more plastic out of landfill sites. Worms are more powerful than the African elephant and more important to the economy than the cow. For the organic gardening enthusiast or anyone wanting to live more sustainably we deliver practical workshop sessions for community groups, housing cooperatives and associations. 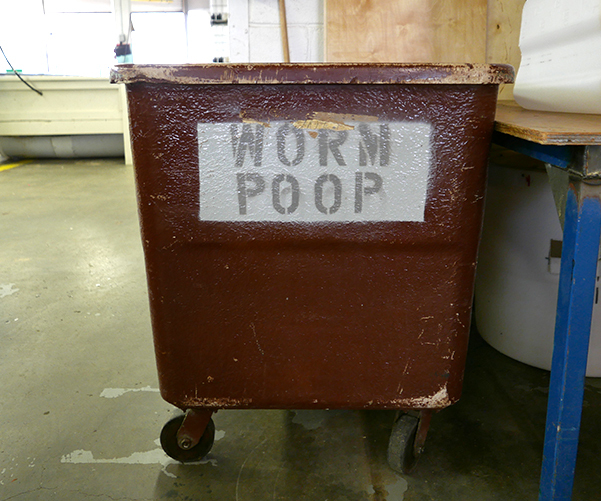 Workshops can be hosted at the Urban Worm farm workshop or we can come to you. We believe engaging children in the importance of earthworms and soil health builds the foundations for a healthy society, igniting a sense of stewardship and care for the earth. We offer informative and fun workshops to compliment the National Curriculum, particularly suitable for science & geography at Key Stage 2 & 3. Anna's workshop had visitors at our community orchard fascinated. She has an amazing amount of knowledge and passion, and it was infectious - people didn't want the workshop to end! Loads of questions answered and loads of people enthused to go and raise their own worms, knowing it's easy, fun and basically essential if we're going to keep growing things. 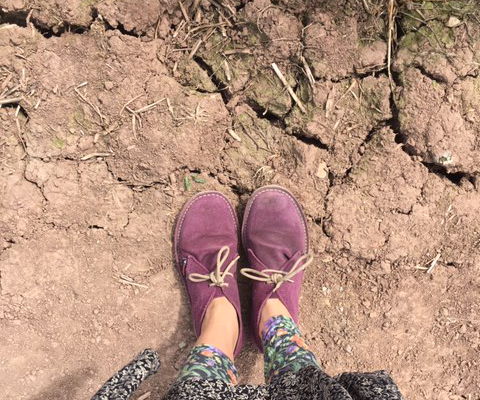 Anna has been hugely influential in our drive toward sustainable education; writing policy, installing worm farms, advising on good practice and helping us to become the first school to vermicompost all our organic waste on site. Not only that - her energy and enthusiasm has engaged and inspired our learners: no easy thing in a challenging environment. Within minutes the children were absorbed in sifting through compost and making their own worm farms to produce organic plant food. Anna was brilliant with the children and the whole group thoroughly enjoyed the session, both inside the classroom and outside in the country park worm hunting. Thank you Anna; we definitely recommend you and your worms. For businesses and institutions looking to improve their environmental credentials, demonstrating a commitment to sustainability, we can support and guide you to manage your organic waste onsite, tailoring to your budget and requirements. If you are looking to establish a worm farming enterprise or integrate worm farming into your agricultural practice we offer expert knowledge and advice. 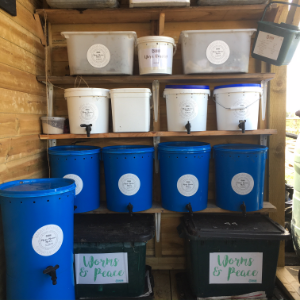 The market for worm farming is expanding and offers extensive opportunities for diversification of livestock holders, replacing the use of synthetic fertilisers with worm manure, supporting a necessary shift towards regenerative agricultural practice. 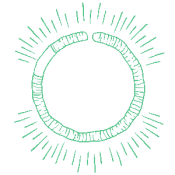 "Anna from the Urban Worm was a main collaborator with Urban Catch on a DEFRA-funded trial testing sustainable nutrient solutions in an urban growing setting. 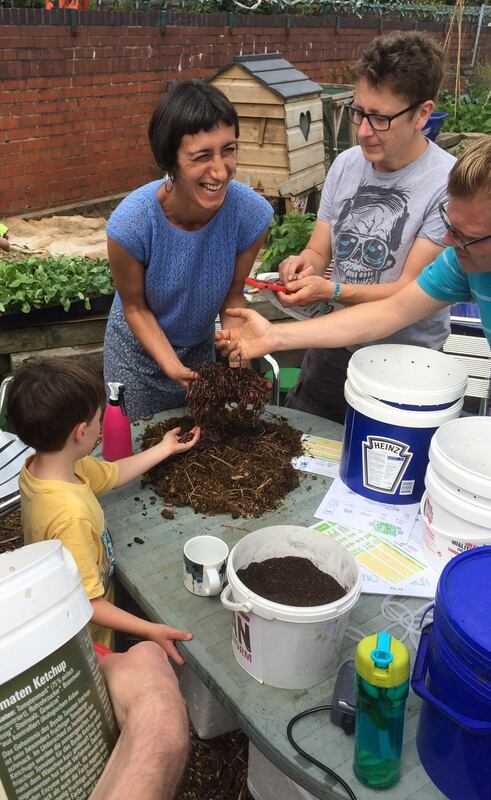 She came all the way up from Nottingham to install two vermicomposters and run an intro workshop. Her enthusiasm is simply infectious, and everyone walked away from the workshop full of love for worms! Her knowledge and experience is clear, but she also presents the information in a way that's very approachable and digestible for all involved. Anna has also been very kind to help with any follow-up troubleshooting and questions. She's an expert in her field but knows how to make what she's doing interesting and fun for different audiences." We deliver the finest well-rotted manure made with love by rescued horses, for your plants and for your worms. Nottingham city area only. Supplied in 30 litre bags, £4 per bag, 10 bags minimum order for delivery, plus buy-back scheme on empty bags. For orders call or email. There is no god dare wrong a worm. 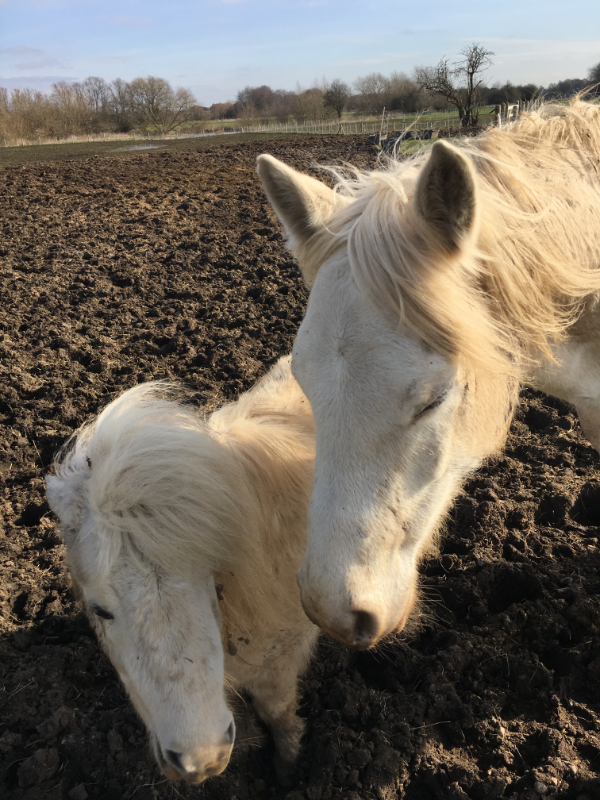 The Urban Worm CIC have partnered with the charity Moo Haven Horse Rescue & Rehabilitation who help us feed our worms with a steady supply of the finest horse manure, helping us to produce the superior soil amendment and fertiliser Magic Manure. Located on the edge of the city we are serenely surrounded by beautiful horses and great company. If you are interested in volunteering with us or would like to book a visit or workshop session contact anna@theurbanworm.co.uk. We are available for school, community and educational visits.